Nate laces up Melo-like colorway against Melo and the Knicks. 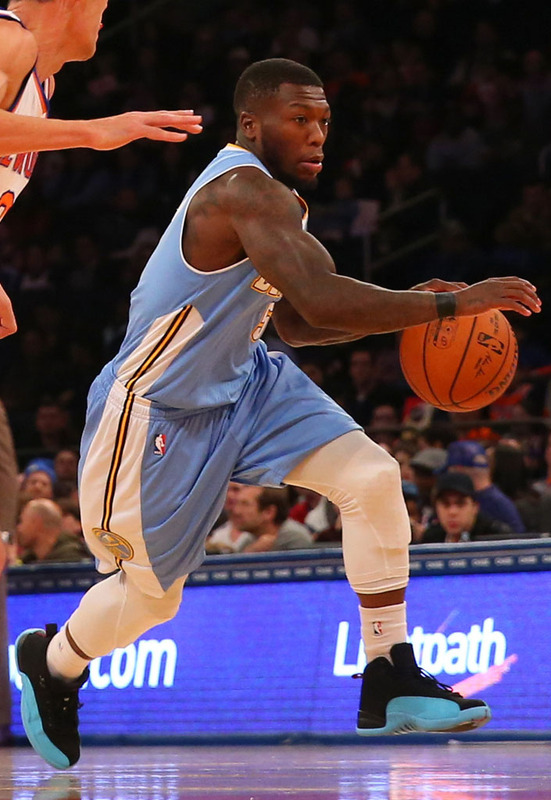 The 'Gamma Blue' Air Jordan 12 is often compared to Carmelo Anthony's old PEs, so it was only right that Nate Robinson broke a pair out for Sunday's game between the Denver Nuggets and New York Knicks. This time around, Melo’s new team bested his old one, as the Knicks topped the Nuggets 109-93. Anthony led the way with 28 points and 9 rebounds. Robinson only scored 5 points, but he got the Sole Watch spotlight, so who really won?